I was recently asked, “After all this time and at your age, why are you still doing this?” Believe me, I ask this question of myself often. But I don’t have to think about it too long. The answer is simple. As long as the music keeps coming to me and the recording process is still fun, I will continue to produce music and videos. This song and video best answers the question. 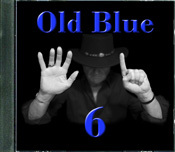 Please help me celebrate the release of my new album: Old Blue 6. This is my sixth album of original material (thus the title) and it’s an eclectic group of 13 songs (a mix of old and new) that I recorded over the past 2 years. And for the first time (not counting my last album, “John Paul George and RB”) I included two cover songs from writers I deeply admire. 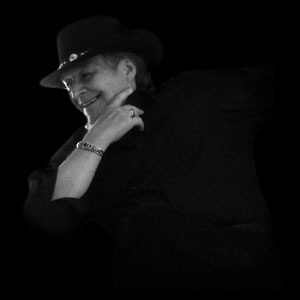 So give it a listen and drop me a line - I love to hear from you. Every musician has been influenced and inspired by the great musicians who came before. With this crazy mash-up, I hope to celebrate and honor a few of those great musician who have inspired me. When I started to record this collection of songs, I promised myself I wouldn't try to "control the process". Instead I would follow where ever the songs took me. I guess I had this pent up inside. Here's the latest song and video from Old Blue 6. Each year during the Christmas season we would perform this song with the band. We liked it so much that in some years we were still playing it in July. This year when I decided to record a Christmas song, there was only one song that rose to the top of the list. So I wish you a very Merry Christmas - even if it's July. 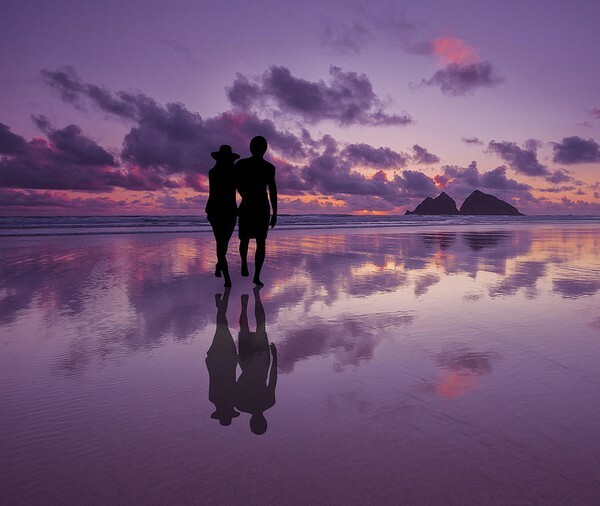 I was fortunate enough to spend part of this past winter in the warmth and beauty of several Caribbean islands. 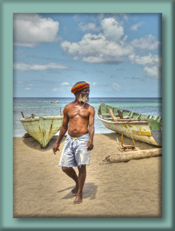 Here are a few of my photographs in CARIBBEAN COLOR. Unfortunately, once again I feel it necessary to make a feeble attempt to counter the ugliness which has taken place in Brussels. 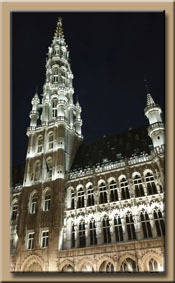 Here are a few of my photos from a recent visit to Beautiful Brussels. For the last several months I've been busy recording a new album of original songs. I'm very excited to share with you the first video from this project. In addition, I'm the guardian of many old family photos - most of which are well over 100 years old. I thought this video would be the perfect opportunity to bring a few of these precious photos to life for my song Menagerie. I am fortunate to have had the opportunity to travel this planet rather extensively. So when I see the ugly events that recently took place in France, I feel I must counter that ugliness in some way. 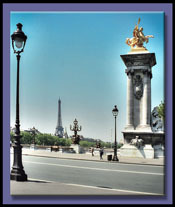 Here are a few of my photos of Beautiful France. Please help me celebrate my latest CD be giving it a listen (or maybe even a purchase). How could you not enjoy these songs by these songwriters? This has been an especially fun project for me and I truly hope you enjoy it too! First, I want to show in some small way my immense respect for these songwriters. And second, I just wanted to experience the pure joy of performing these songs. I'm fortunate to reside in the beautiful state of California. Please allow me to share a few of my recent photographs which attempts to capture that beauty. "Little darlin' it's been a long cold lonely winter." That is true for many of us. So I thought I'd share with you some beautiful Southern California sunshine from John Paul George and RB. Sometimes black and white is just the way to go. During my recent travels through the Netherland, Belgium and Luxembourg, the sky's were grey and the air was filled with a heavy mist. Even when the sun came out, the old cobbled stone streets just look better in shades of grey. 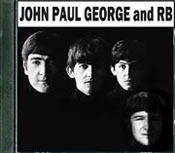 Here's the latest video from my project John, Paul, George and RB. I'm well on my way of finishing new original songs for my next Old Blue record but in the meantime, I love recording these great songs from these great songwriters. Another passion of mine is photography. It's been that way for almost my entire life. Here are some recent pix from my travels through Hungary, Austria, The Czech Republic and Poland. Click on the picture below and join me in my travels. It's a George composition and I have heard that his inspiration came from the 12 string and songwriting skills of Roger McGuinn of the Byrds. I'm finding it fascinating as I learn the parts and dive deep within these songs. I don't usually take the time to record cover songs, but for the past several months I've been recording some of my favorite Lennon and McCartney songs - and some George songs too! This is the first video from that series of recordings. Some videos are fun. Others … not so much. For this one, I had to go deep. It seems after all this time, I'm only now ready to express myself on the subject. A BIG "Thank You" to those who came and shared the moment last night. Because of time zone differences, yesterday's live broadcast was aired in the middle of the night for my European friends. So a very special "Thank You" goes out to those who stayed up late. And if you are like me and need your beauty sleep, the event was recorded so you can watch it anytime at your leisure. There's nothing I like more than to take my guitar and camera and wander the American West. There you find a natural intensity. Do you feel it too - DO YOU? Summer is in full swing here in Southern California. It's time for a Play Day. This is the first video from THE OTHER SIDE OF TIME and it's a bit different from my other videos. But then again, so is the whole album. I hope you can IMMERSE YOURSELF in nature's wonders. I cannot think of a better way to kick off a brand new year then with the release of a brand new album. Therefore, I am very excited to finally be able to announce the release of THE OTHER SIDE OF TIME. This album contains 11 songs – each a bit different from one another yet firmly bonded together. I so much look forward to sharing these songs with you today and the videos in the months to come. Thank for your continued support and I wish you a very healthy and joyous 2013. For now, the only way you can hear the new songs from THE OTHER SIDE OF TIME, is for you to play them yourself. You can do this because all the sheet music for the new songs is listed on the Namesake Music page. Just click on the "Lead Sheet" button. It seems I'm having some difficulty getting my projects completed because I'm doing too many of them at the same time. I've been traveling a lot lately and while drifting down the Li River in China, I shot this footage that I thought would be perfect for my song RIVER PLEASE CARRY ME. I hope it translates well. The new record is complete. All the tracks "are in the can" so to speak. Soon I will start the mixing process. And even though I'm thrilled and relieved to have most of the hard work behind me, there always seems to be that one moment of mixed emotions when I'm standing before an open mic knowing that it's the last time for this album. You see for me, it's about the journey. Whenever I start a new album with a collection of new songs, I'm never quite sure where those songs will take me and what I will learn along the way. And when those sessions are complete, it seems what I'm leaving behind - is a big part of me. Anyway, I'm very happy with how things are turning out and I'm very much looking forward to sharing my journey with you. For a limited time (until the release of my new album) I want to extend a deep discount on my previous albums to express my gratitude for your support over the years. This is a limited time offer and the price will go back up with the new release. Thank you my friends. Before I start releasing songs from my new album, there's a video from a previous album (TRUE BLUE) that no one has ever seen before. This is SANTA BARBARA. I've entered a new post on The Old Blue Blog where this time I describe the origins of CARE FREE DAYS. Please come and join me. I haven't been posting here (or any place else for that matter) very much lately because I've been putting a lot of blood, sweat and tears into my new album. But when it's done … I'll come out and play. As I gather up my projects from last year and archive them to make room for this year's projects, there's one project in particular I think deserves a second look. I know it's presumptuous of me to think anyone should take 17 minutes out of their life to ponder my photography … but for those who care - I share. Geronimo was the last of the great Apache warriors. Defending his people's way of life, he was defiant to the end. Although captured, his spirit was never caged and so today his name lives on. As I travel the American Southwest, I commune with the Navaho, Hopi, Zuni and the other great nations but it's the spirit of Geronimo who speaks to me most clearly. Today I set THE BRIGHTNESS OF OUR DAY (the video) free to find it's way in this world. Each song and video must make it's own journey and I consider myself lucky if that journey brings me to you. This song is from my True Blue cd. Today is the release date of my newest video: HOW WOULD I FEEL? The song has long been one of my favorites and I really enjoyed creating the video. I recently returned from my wanderings in the desert. It’s wasn’t quite 40 days and 40 nights – but it was close. The longer you’re out there, the more you see. I captured many of my visions with the camera and posted the photographs on Facebook. I took a lot of pictures and as I edit them, I’ll post more. Click on the picture below and join me as we Wander thru Desert Wonders. Over the last several months, Namesake Music Publishing has partnered with several Licensing firms and Libraries for song placement. I'm very excited about the expanded possibilities. We'll keep you posted as things develops. I’d like to introduce you to a new member of the family. She’s a Taylor GA3-12 twelve string guitar. This may not sound like a big deal - but it is. You see, I’ve owned and played 3 of my guitars for over 40 years and they’re a part of me. So to bring a new guitar into the mix is a big deal. She plays well with the others and she sounds like a dream. I can’t wait for you to hear her too. I’ll be adding her on a few of the tracks on the upcoming CD. We're having a terrific Birthday Weekend. Thank you all for your well wishes and wonderful Birthday Greetings. There was a time, like many other working musicians, when I spent year after year on the road performing night after night. Well those days are long past and that road is now much less traveled. That's why I created The Old Blue Theater. I'll be putting on new "shows" in there from time to time. So stay on the look out and I'll see you the next time the curtain opens. The 10 free SEE ME THROUGH album winners are: Brenda G., Alex S., Mogo42, Jessica P., Sheryl B., Tim F., Cherry779, Macy T., Greg G. and Cindy R. A tip of my hat to you. 2 - Near the bottom of the page, fill in your email address and in the message area tell me that you want your free download of SEE ME THROUGH. That's it! The first 10 people to do so will receive an email from me telling you where to go for your free album download with a code. For some of you this will complete your Old Blue album collection and it's the least I can do to show my deepest appreciation. As some of you are aware, I've released a new CD every June for the last 4 years. Well … not this year. For whatever reason, I haven't been able to meet my self-imposed deadline. (Perhaps I'm spending too much time on Facebook.) Even though I really love the new songs and tracks so far, they're just not ready yet. I want to release the very best record I'm capable of producing so I guess it'll be ready … when it's ready. I understand some of your computers may be having a hard time dealing with Flash. 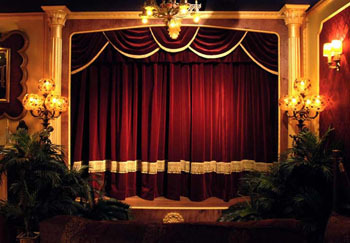 Therefore, I've uploaded The Old Blue Theater to my YouTube Channel where you should have no problems at all. Just click on the link. Happy viewing! Want to have some fun? Go to the Namesake Music page, pick your favorite song, print the sheet music and play away. It's fun and it's free! Yesterday was the first day of the launch of this new web site and you guys put a lot of new blue dots on the globe. Thanks for helping to put OldBlue.info on the map - literally. I have many things I want to share with you and this is the place I will share it. Like the song says, "Name what I can do for you. I’m here to share what’s mine. Thanks for coming and seeing me through. I hope it’s not the last time". Today is the day I launch my brand new web site. I can't even begin to tell you how excited I am about it. Now I have a place where I can share my thoughts, my music, my videos and whatever else I'm up to. So take a look around. I think you'll find a few surprises and I hope you'll be entertained along the way. And if you're so inclined, drop me a line. I'd love to hear from you.